The Bay Area has always been one of my favorite spots for a getaway. Not only because of its close proximity to LA (hello 45 min flight) but the multitude of things to do. 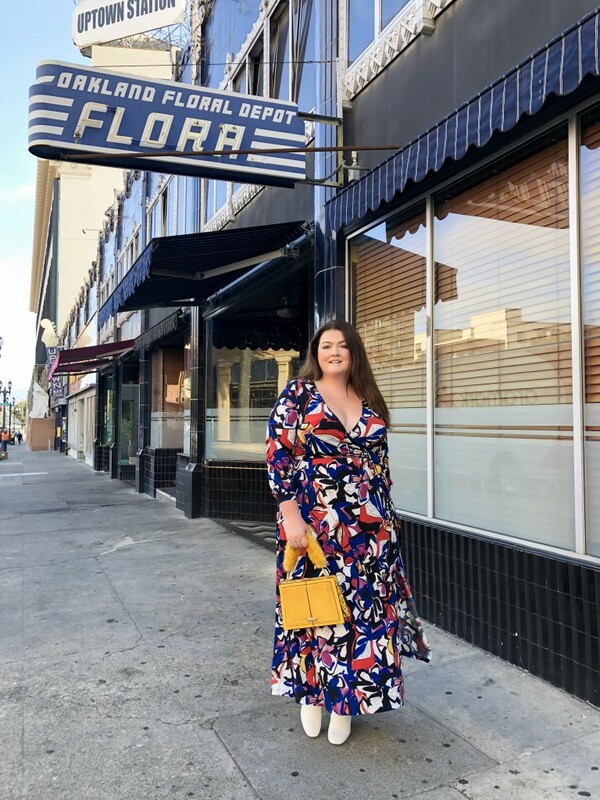 From wine tasting to shopping, to plenty of culinary delights and sights to see, the Bay never disappoints me. There really isn’t a better last minute getaway by plane. This time I ventured back to the Bay to Oakland for Oakland Cocktail Week hosted by Visit Oakland & JetSuiteX. Oakland is often overlooked and misunderstood, but after this trip, I discovered some hidden gems. First of all, let’s talk about JetSuiteX. Departing daily out of Burbank, with flights to Vegas, Oakland and Concord to name few, JetSuiteX is the ultimate experience and they have forever ruined flying for me in the best way. 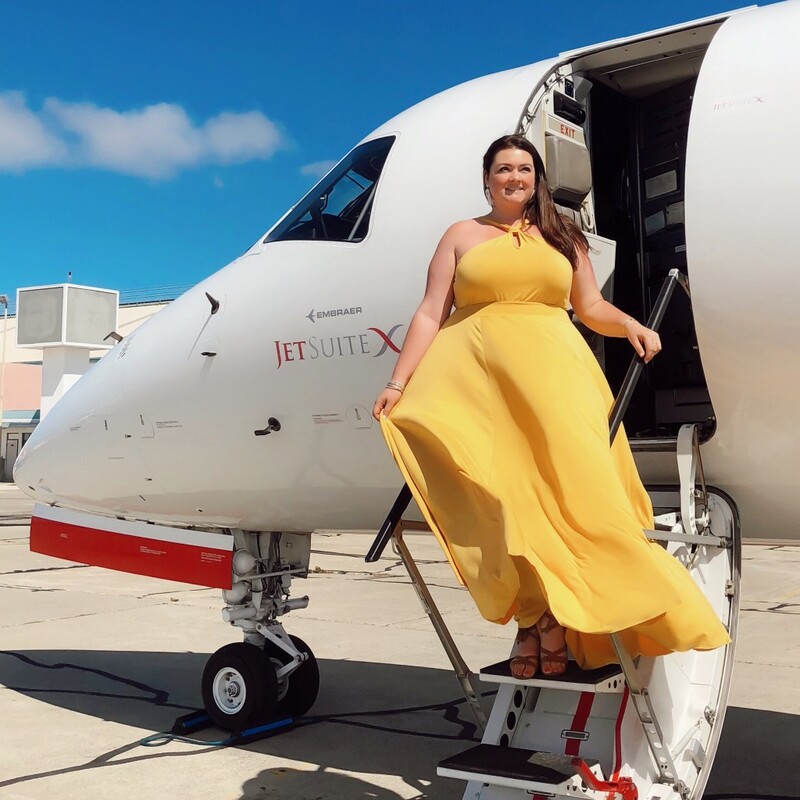 For those of you who prefer to drive to the airport, JetSuiteX has it’s own valet parking lot so you can literally pull right up, run in and catch your flight. I arrived 30 mins before my flight, walked right up without long lines, did a quick security check and dropped off my bag. Within the next 20 mins I was boarding. There are no overhead bins, so there are no bags to fidget with to delay the process of boarding and unboarding. While in flight they served up my choice of yummy snacks and beverages (including alcoholic) on the house. The flight was quick and painless and our luggage greeted us immediately upon landing. I almost didn’t feel like I was flying! From there we were whisked by car to The WaterFront Hotel on the bay in Jack London Square. 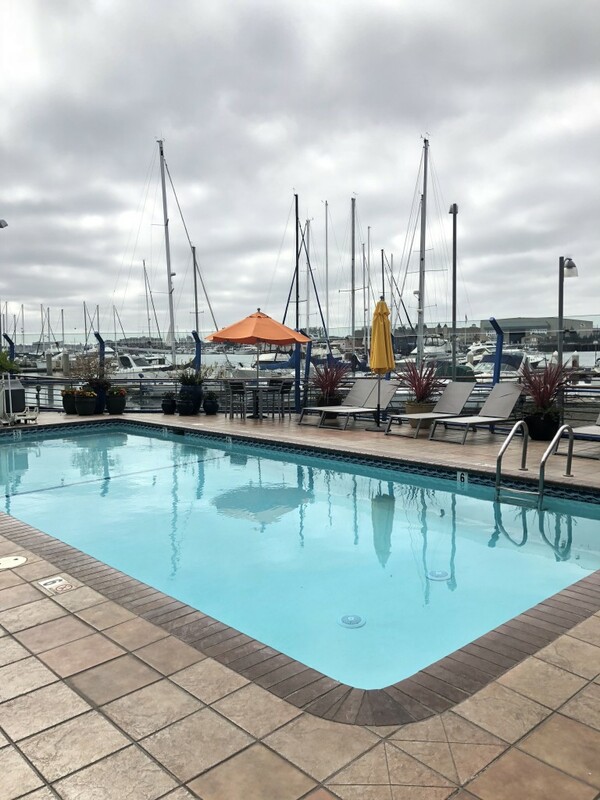 We stayed at the maritime themed boutique WaterFront Hotel which sits right on the bay in the heart of Jack London Square. With plenty of things to do nearby within walking distance, I loved this location. With restaurants like The Fat Lady, Lungomare, Grocery Cafe, and pastry places like Miete, the square is filled with options for even those with the most discerning taste. Throw in a movie theater, wine tasting and bowling and you don’t even have to leave, that is if you don’t want to! However, I would highly suggest exploring any of the following below to really experience all the charm Oakland has to offer. We definitely took advantage of the many favorites in the area including Burmese food at Grocery Cafe, Mexican at Nido cafe, Tapas at Duende and not to be missed Hop Scotch, where we had the best dinner paired with classic cocktails for our tasting. 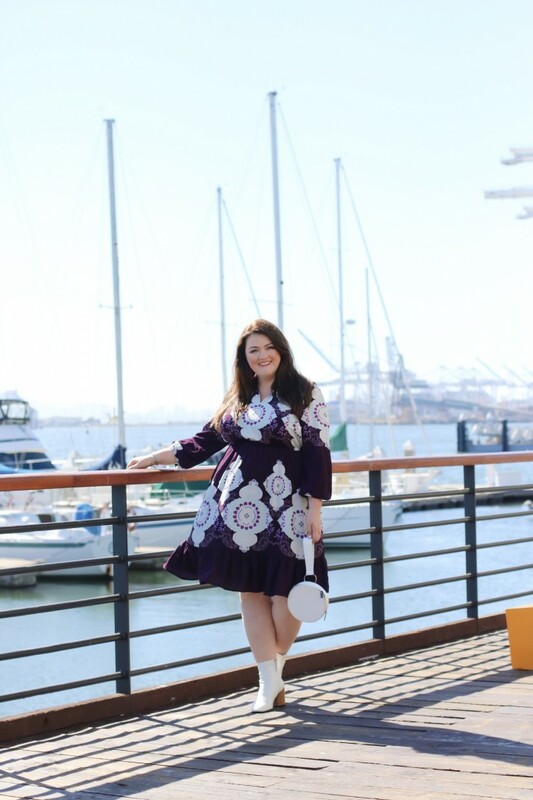 Also a crowd favorite, The Fat Lady in Jack London Square had the best hometown vibe and delicious dinner options. 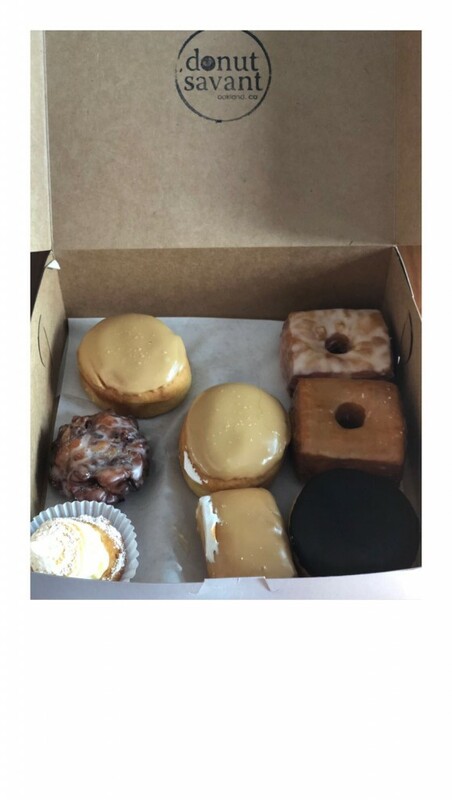 If you have a sweet tooth, Donut Savant is worth the trip too. Obviously there are several others but these were a few of our favs! 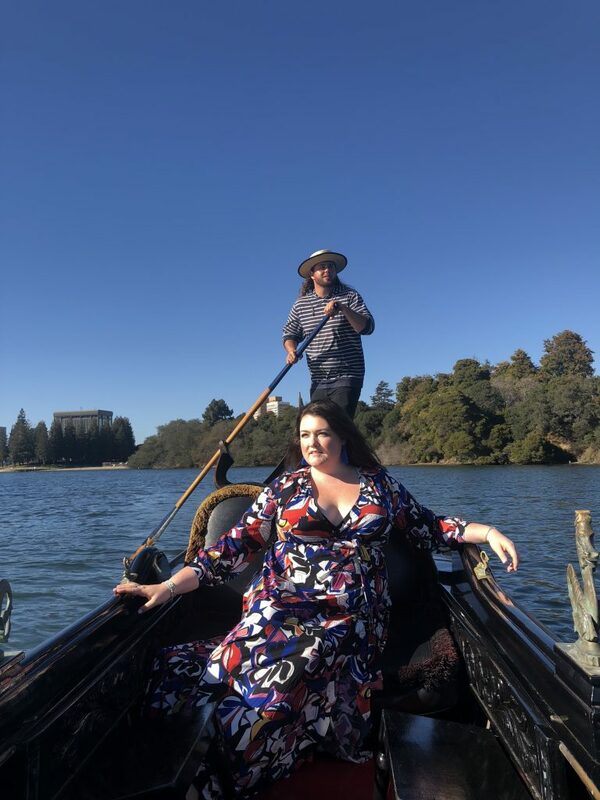 1) Take a Gondola Ride Across Lake Merritt: Since I won’t be visiting Italy any time soon, this was definitely a close second for me. Plus, who doesn’t love seeing the city by water? This was one of the most relaxing parts of our trip and I would definitely do it again. Pro-tip: Bring a bottle of wine and they provide the glasses! 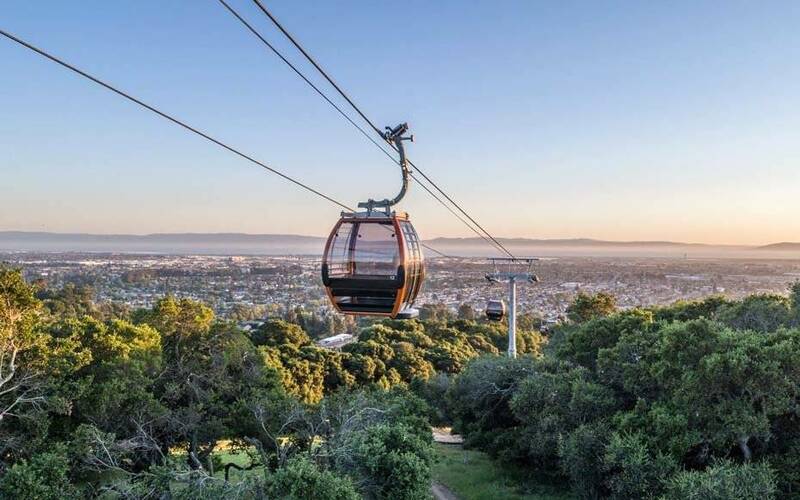 2) Oakland Zoo – I came for the views on the gondola and stayed for the animals. With over 700 native and exotic animals, there’s something for everyone here. Definitely take advantage of the park all day and pack a picnic if weather permits. The admission prices for adults is $17.75 and you can go Monday through Friday, 10am to 4pm. 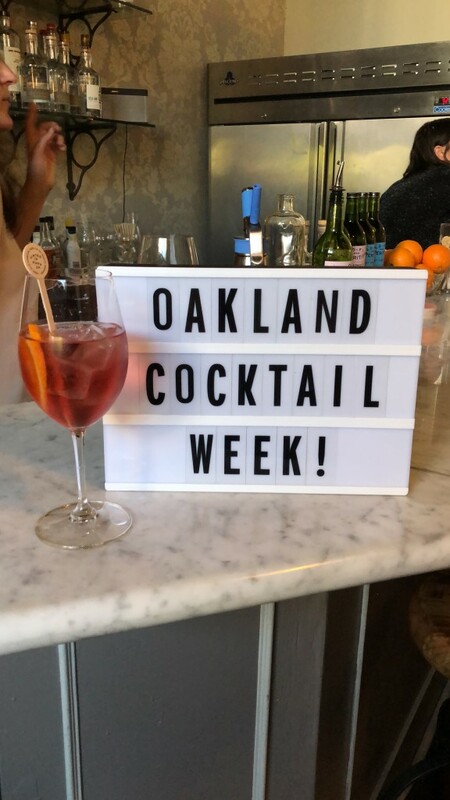 3) Visit during Oakland Cocktail Week: Definitely not to be missed, I learned so much about the history and revival of Oakland through the bar and food scene. There is definitely a lot of unexpected history here and I loved learning about it via cocktails from the locals. We attended a couple of events including a tribute to Oakland’s bar culture and a delicious cocktail dinner featuring craft cocktails from lo-fi aperitifs and Oakland Spirits Co. at another must visit spot, Hopscotch. 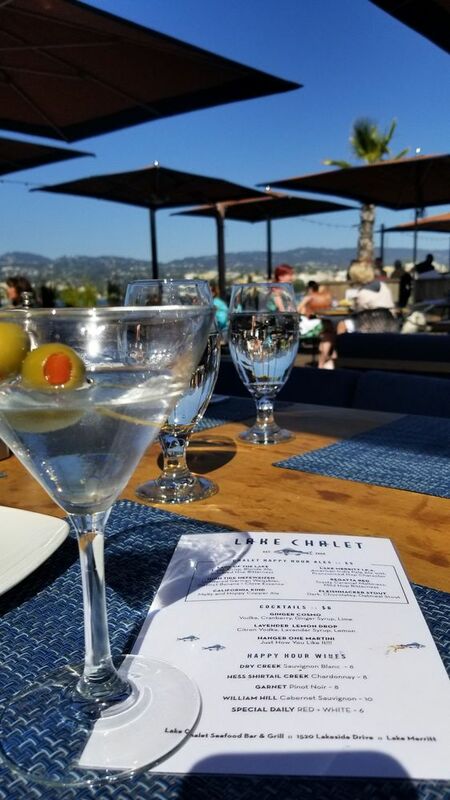 If you are into classic cocktails and want to experience the true culture of Oakland, I recommend any of these bars; Cafe Van Kleef, The Ruby Room, The Alley, Starline Social Club and Trader Vics to name a few! 4) Go Wine Tasting: Oakland has it’s own urban wine trail tour. Just like everything else in Oakland, the wine scene is not your usual with wineries are housed in renovated warehouse spaces. Most of the trail is walkable and you can easily access via Bart or the free Oakland shuttle. 5) Catamaran Sailing: This was one of the things I regret not doing while we visited Oakland! If we had more time, this definitely would have been tops on our list. Sail around the Bay and see SF and Oakland in a new light. They even offer food on the boat, a win-win in my book. 6) Visit China Town: Oakland’s food scene is definitely thriving. If you get the chance don’t miss the opportunity to eat authentic Chinese food. Located near Lake Merritt and the center of everything, Chinatown offers plenty of affordable shopping and amazing cuisine. We tried Gum Kuo and ordered several dishes ( Roasted Duck, BBQ Pork, BBQ Fried Rice, Mongolian Beef, Shrimp Noodle, and Gai Lanyet) but only spent about $70. Pro tip: some places are cash only. Also worth the visit, Chan Dong. 7) Oakland Bike Tours: Another great way to get around town to see the sites. There are plenty of stops along the way and various cafes, farmer’s markets, and specialty ice cream shops too. 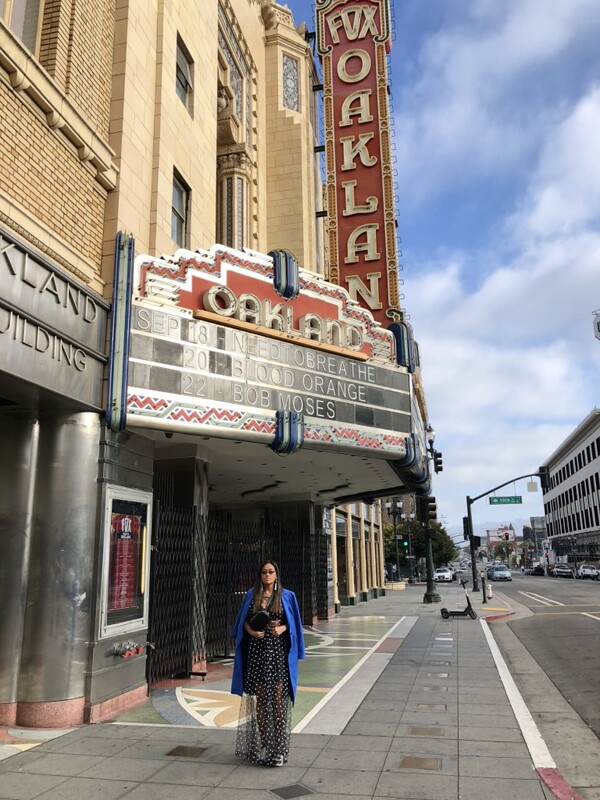 8) Walking Food Tour: With so much good food to be had in Oakland, the walking food tour is a great way to experience the city’s offerings. You’ll not only eat some of the best food but you will also learn about history and explore the culture from a local’s point of view. 9) SF Air Tours: If walking, biking or riding in the car are not your thing, there’s the option to see the bay by air. Sadly, we didn’t have enough time to do this but will definitely try this out upon our return. 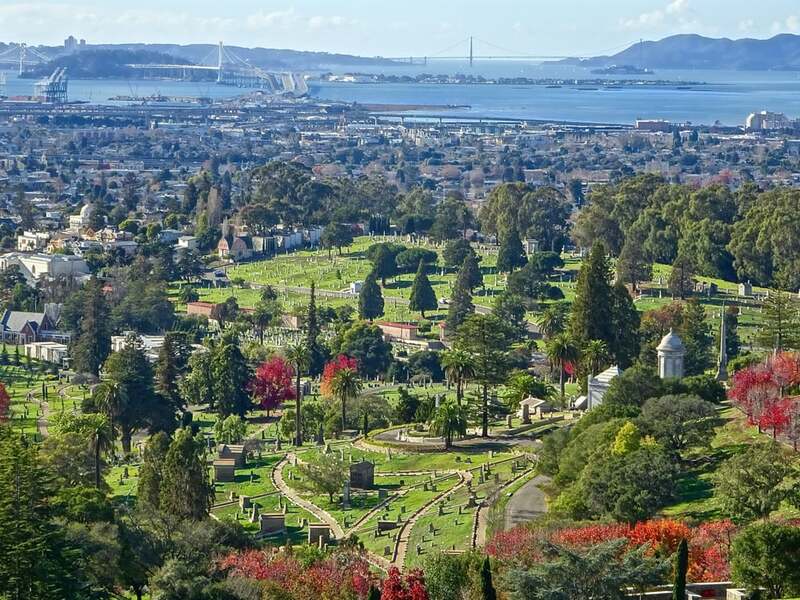 10) Mountain View Cemetary: A peaceful retreat for not only the dead but the living too. This was definitely one of the best unexpected views of the city and beyond. Bring your tennis shoes and take one of the guided tours where you will learn about the history and take in the gorgeous landscaping. While we only got to spend two nights here, it was just enough time for me to really enjoy and see some of the best sites the city has to offer. While Oakland may have received a bad rap in the past, to be honest, it’s really got a ton of potential and is in the midst of an amazing revival. However, if you’re unfamiliar with the area in general, make sure to bookmark this one for your next getaway. Don’t sleep on Oakland, you’ll be glad you didn’t. If you would like to get more info and see even more suggested activities, head over to Visit Oakland for more information. I had no idea. Love your travel content, super cute and can’t wait to see more. Those donuts look amazing!